4k00:05New York, May 2017. 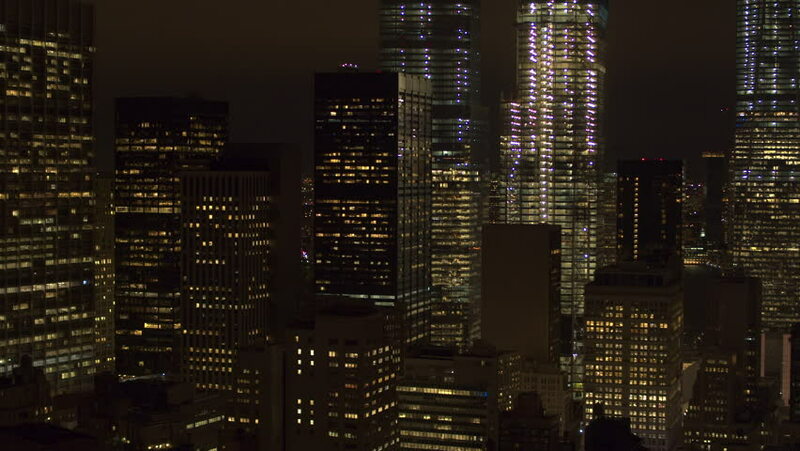 Top shot of 5th Avenue at night surrounded by illuminated towers and apartment buildings. 4k00:12Apartment building and windows at night, timelapse.